For First Time Philippine Passport Applicant, please read here. My daughter's Philippine passport will expire on July 2018. I know it's still valid for travel six months before expiry or until January 2018 but I don't want my daughter to suffer the same fate as mine when I forgot to renew my passport at the very last minute. What's worse, DH already booked our tickets including accommodation. So, I did what any mother would do---> renew my daughter's Philippine passport NOW. No appointment needed for kids 7 years old and below! 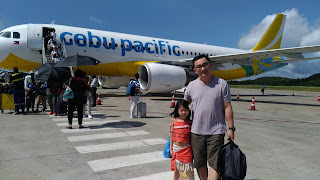 We went to Ali Mall, one of the Department of Foreign Affairs (DFA) Satellite offices here in Manila, after I picked her up from school the other day. Photo above was taken as we were playing Trip to Jerusalem waiting in line. You may avail of the Priority Lane at DFA Manila (Aseana) or at any DFA Satellite Offices within Metro Manila (Ali Mall, SM Manila, SM Megamall and Alabang Town Center) or Regional Consular Office to apply for your passport. In my rush to go to the nearest DFA Satellite Office, I forgot to print the DFA Passport Application form. Upon arrival, the security guard asked if I brought the form with me. When he sensed that I don't have it, he quickly gave one and told me to fill it up. After filling up the form, I had it received and stamped by a stand by personnel. Then proceeded to Step 1 | Verification and Submission of Documents. 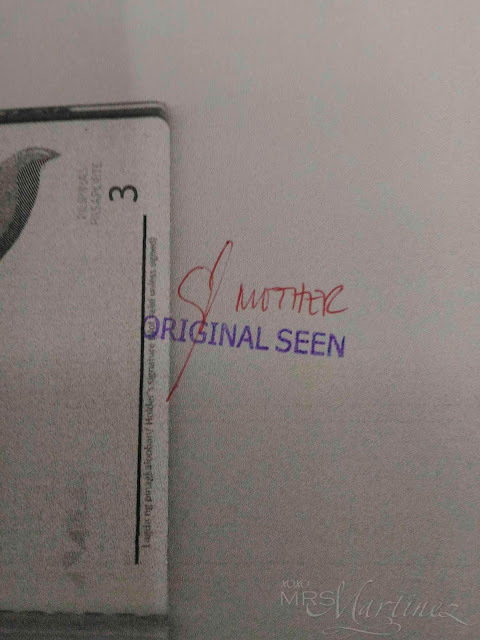 Original copies of minor applicant's recent expiring or expired passport including NSO Birth certificate were returned. Only photocopies were taken for documentation. My passport was also returned to me. The photocopy of it was stamped (as seen in the photo above) as well as the rest of the photocopies that were taken for submission. If I remember it correctly, there were 7 or 8 counters but only 5 counters have attending personnel for Step 1. Step 2 is the Cashier. The line was short so the waiting time was more bearable. Step 3 is where the applicant's photo will be taken and where the data encoding happens. *When taking a photo of your baby or toddler, no other person should be in the photo. The child should be looking at the camera with eyes open. My daughter has bangs. Solution---> I moved her bangs on one side. And Voila! Side bangs ; p It is important to see her eyebrows in photo according to the one who took her photo. We took several shots until we got the right one for her passport. 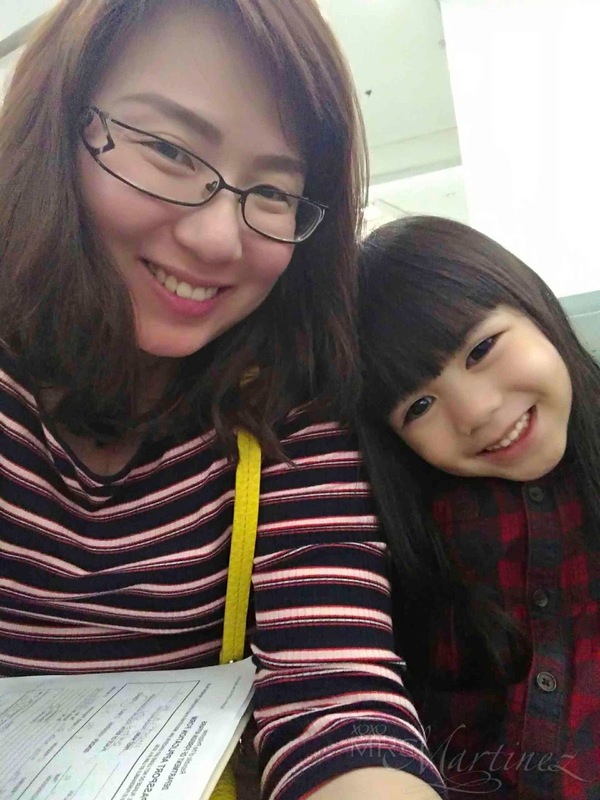 My friend who renewed her 5 year old daughter's passport at DFA Satellite Office in SM Manila, was luckier. They have experienced what we went through during my daughter's passport application for the very first time. They were given access to Priority Lane and thus, they were in and out in 30 minutes. I guess different satellite offices have different rules to follow. I think there were approximately 40 people ahead of us, we spent an hour lining up for the submission of documents and another hour lining up for picture taking. Just a suggestion, why can't we have more counters and have each staff manning the counter handle all steps- Submission of Documents, Payment, Encoding and Picture Taking. I have seen this happen in Canada. I hope we can do it here in the Philippines too. Read all about my daughter's first time passport application and more about Priority Lane here.